Either 1 or 2 people in a boat that looks like a small raft: you've got the control! Before you start you’ll learn about ‘reading the river’, understanding currents and rocks, and judging the depth and direction of flow. 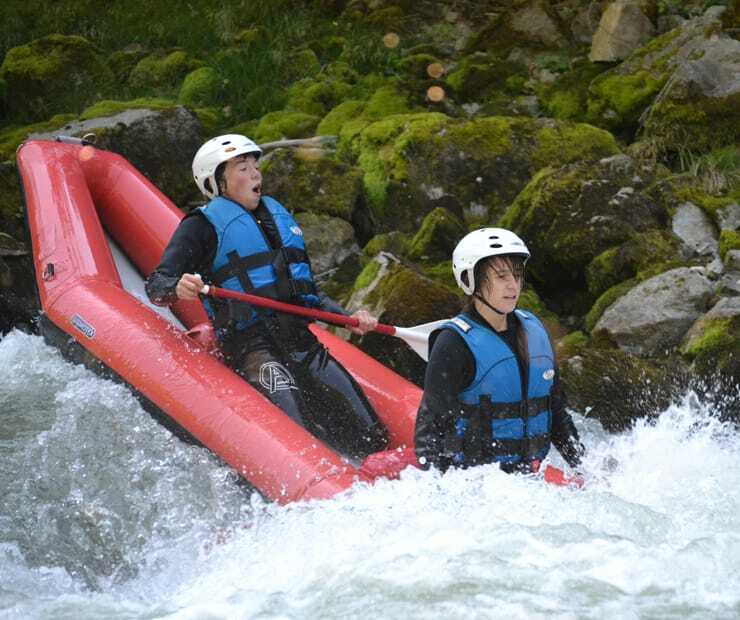 This trip is ideal for people who've been rafting already, or have done some kayaking, and want to learn new skills, or hone existing ones. Minimum age is 12 and your guide is with you all the way. 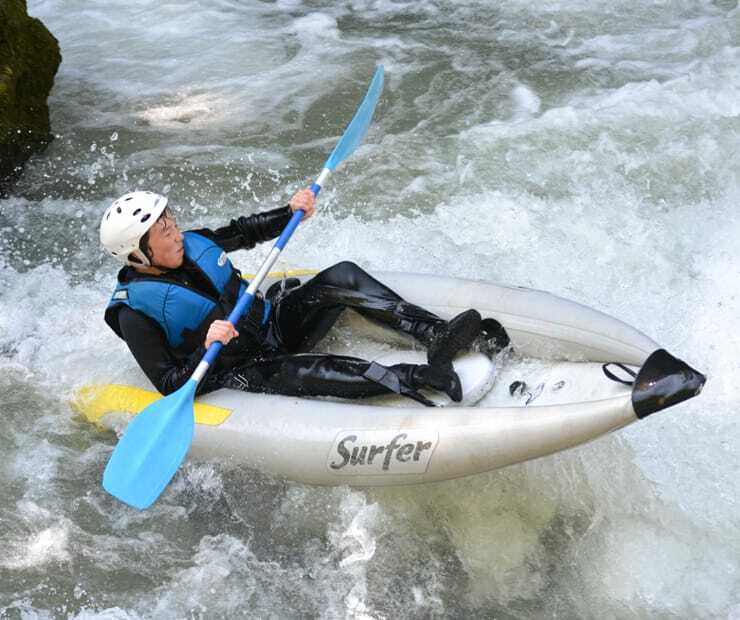 FROGS RAFTING provides all the gear: helmets, paddles, full wetsuits, lifejackets, booties. You just need to be able to swim, and bring a bathing suit and a towel.